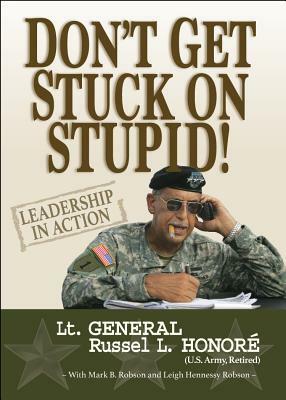 A brilliant, powerful book from one of the most respected retired military leaders of our time, General Russel Honore. Recognized as a national hero after spearheading the post-Hurricane Katrina search-and-rescue mission in New Orleans in 2005, Honore offers effective solutions to some of the most pressing problems of our time. These include hurricane preparedness, healthcare, and gun control, as well as the less-well-known issues of widespread infrastructure failure and the need to intervene in the infamous cradle-to-prison pipeline. His basic message: It's time to try new ways to solve our problems. Let's not continue to make the same mistakes with public policy and practice in our country... let's not stay stuck on stupid.